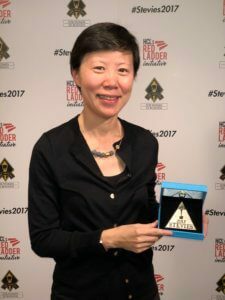 Congratulations to CableLabs Distinguished Technologist Dr. Jennifer Andreoli-Fang for winning a silver award in the category of “Most Innovative Woman in Technology” at the 2017 Stevie Awards. You can learn more about Dr. Andreoli-Fang’s in our blog posts “Meet Mobile Innovator Dr. Jennifer-Andreoli-Fang” and “Powering the Future of Mobile Backhaul.” Jennifer will be co-hosting a webinar in early December 2018 on Mobile Backhaul. You can find more information here.